Description: China got out of poverty and backwardness and stands now as the second economy in the world. However, to reach this level, China has run a winding path with many ups and downs. For that matter, we cannot fail to approach the period of the CR. I believe that the book by Dr. Durval de Noronha Goyos Jr. can help the various segments of Brazilian society to be more interested in China, to understand the Chinese history and the reality. As Dr. Noronha said very well in the last paragraph of his book, “the current China has been working for its own happiness and civilization, in the same way, it has been promoting world peace and freedom. 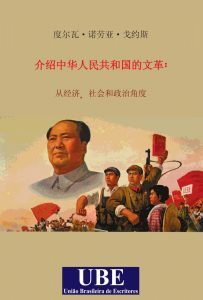 Description: True writer, Durval de Noronha Goyos Junior unravels and leads between the ins and outs and inset of the difficult Chinese domestic politics, in order to make us understand the determined pursuit of this people to overcome major obstacles to the development of its country. 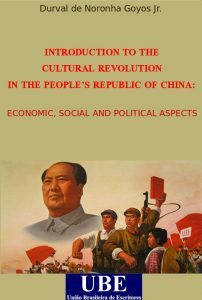 He reveals in a clear and simple way the main cultural foundations of this people, heirs of personal and governmental regulations prescribed by Confucius (551 BC – 479 BC), and that have allowed the Chinese people to accept, within its faith, but also under a dialectical perspective, the unquestionable conduction of its leaders until the present days. Description: Questo studio conduce il lettore in una passeggiata storica attraverso gli eventi militari, sociali ed economici che avrebbero portato alla Seconda Guerra Mondiale. L’autore rivisita questi episodi per dimostrare l’importanza, poco riconosciuta, della partecipazione della Forza di Spedizione Brasiliana in questo conflito. Il lavoro include l’esame degli effetti della seconda guerra mondiale nelle relazioni internazionali e nella formazione del diritto internazionale pubblico, come pure l’avanzamento in etica pubblica, esaminando ancora gli effetti del conflitto in Brasile, Italia, Germania e Giappone, così come le buone relazioni del paese con le altre nazioni nel dopoguerra.